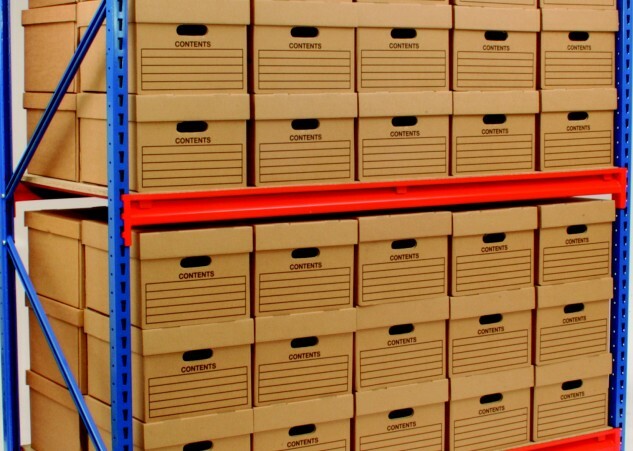 Archive storage shelving for records and files is an important part of any business, library, or public sector department and often requires a high density archive shelving storage solution to increase the storage capacity. Archived files, documents, books and journals need to be easily accessible and well indexed so that they can be retrieved when required. 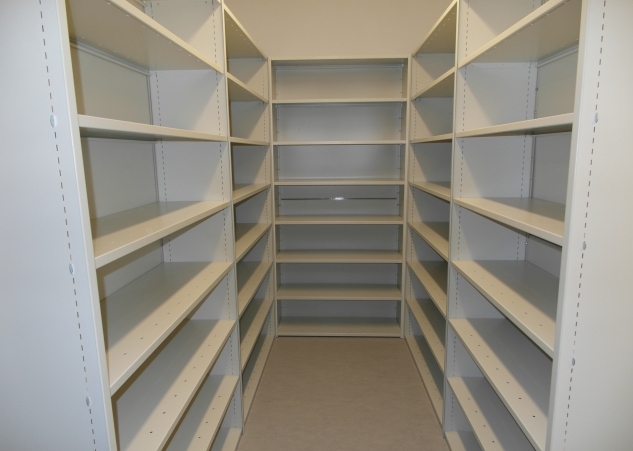 Using the right shelving system to create your archive storage is the key to maximising all of your available space. When large quantities of archive boxes need to be stored that do not need to be accessed frequently, a double-depth and double-stacked solution will give you the perfect high density storage solution. 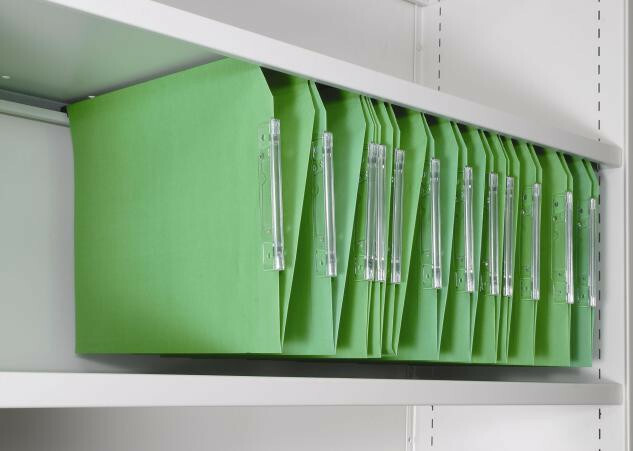 When files need to be accessed more regularly, a lighter duty solution with only one row of boxes per shelf can be used. This style of racking allows access to any box directly from the aisle without having to move other boxes first, ensuring that employees are able to quickly locate the right box for their needs. A box full of densely packed paper is very heavy – so much so that each document file box can weigh up to 20Kg when full. 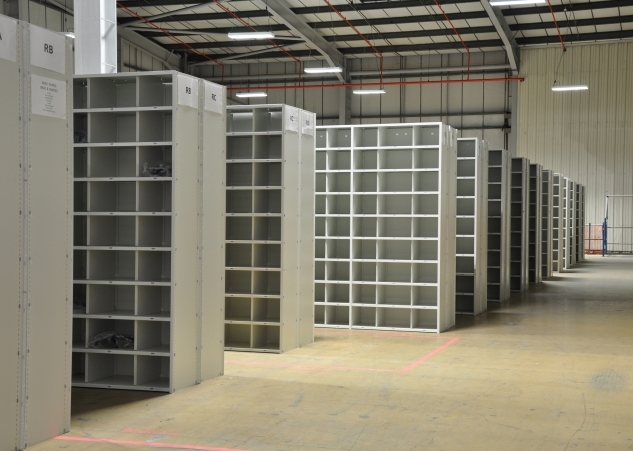 Depending upon the size used, a fully loaded shelf will have to handle weights up to 500kg; therefore it is important to use the very best racking system within your budget. 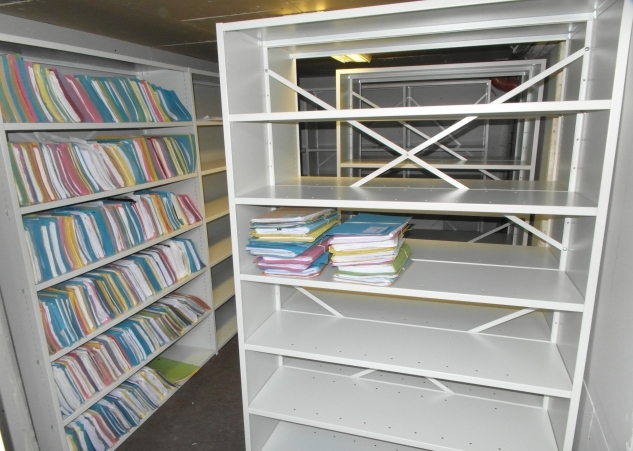 Superior Storage Solutions specialise in supplying and installing cost-effective archive records storage solutions designed to fit within an allocated storage area. 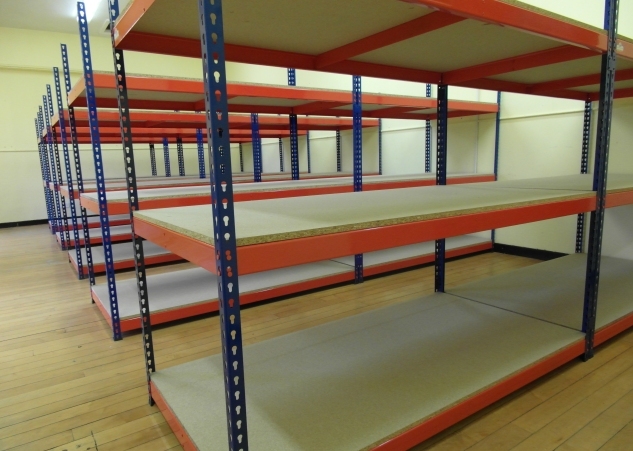 High density archive shelving systems must provide maximum capacity whilst retaining easy access and usability with aisle widths large enough to allow heavy duty step ladders to be moved between the racking bays. Our stylish Delta Edge shelving with its delta profile offers excellent strength but has slim clean lines making it ideal for the office environment. The system is an all steel construction with shelves adjustable every 25mm and comes in an elegant modern white finish. 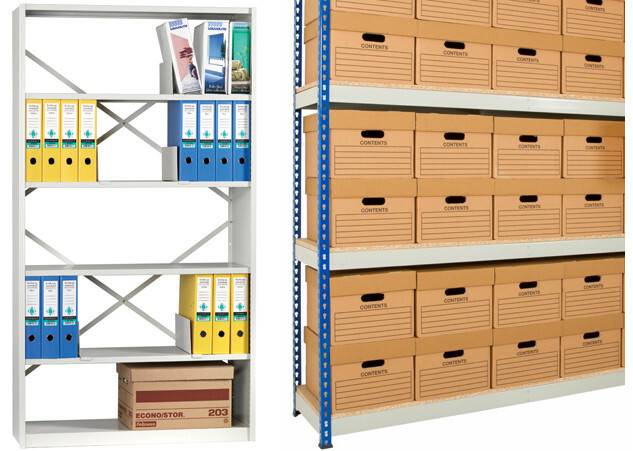 It is the ideal shelving for use in offices, libraries, retail and light industrial environments and is available in a range of widths, heights and depths. Also available is an array of accessories for helping to organise your storage space effectively. 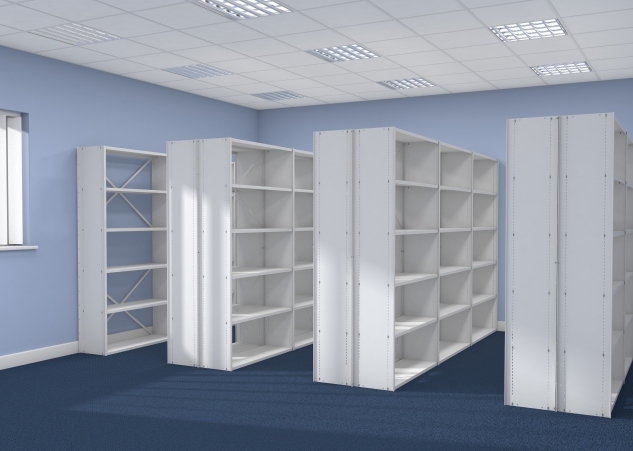 With a vast range of types and sizes to choose from, our expert design team can create unique archive and office storage systems based around your specific requirements and will ultimately see the project through to its timely completion.